Are you planning your day D and wondering where to hold a wedding reception? You do not have to! Restaurant in Český Krumlov LEYLA offers you this unique possibility and unforgettable surroundings. eský Krumlov is a magical place in itself. Organizing a feast in the Leyla restaurant will be a dream come true for a perfect wedding. The wedding menu will be made according to your wishes. It is possible to organize not only a traditional Czech feast, but you can also taste Caucasian cuisine, which is very hearty, rich in meat. Leyla Restaurant is a very charming place. The wedding reception will be prepared according to your wishes, plus you can stay in the hotel with your wedding guests. The beautiful surroundings of the restaurant invite you to the beautiful walks of newlyweds and also to the creation of charming pictures. In the heart of Cesky Krumlov, this pleasant restaurant is made for wedding receptions. The restaurant chef prepares selected appetizers, soups and the main course of the finest or even Bio ingredients. in the garden area, where all your guests will enter. 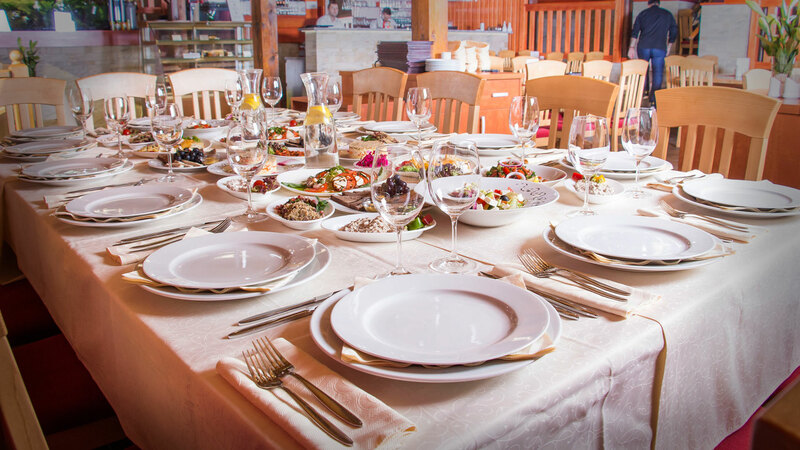 Do not spoil your day and organize a wedding at the Leyla restaurant, which is near Lake Lipno, where you can organize accomodation in Lipno.